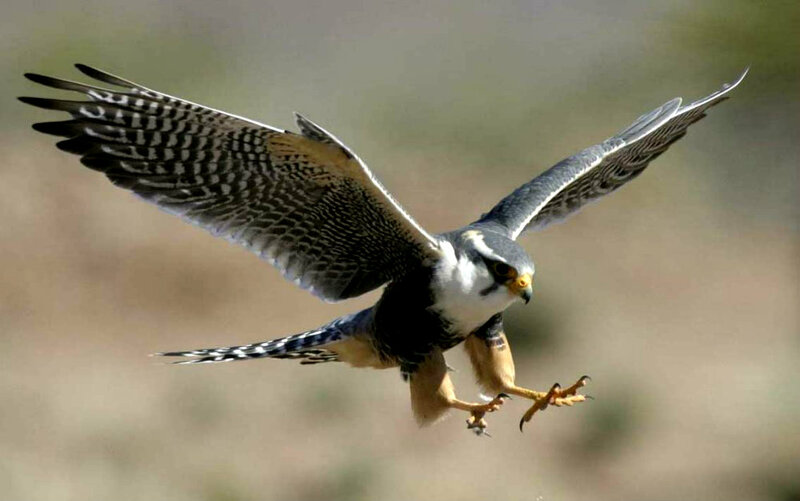 The Peregrine falcon may be the perfect predator. It dives from the sky in a daring plunge, snagging other airborne birds in mid-flight with its deadly talons. Its body is the epitome of aerodynamic design, allowing it to reach—and survive—speeds that would kill other animals. As it reaches its terminal velocity of over 200 mph, baffles in its nostrils prevent the force of the air from exploding its lungs—a feature that has been incorporated into jet engine design—and nictitating membranes on its eyes protect them from debris. It snags its hapless victims in its talons, ending their terror with a killing blow from its deadly-sharp beak. Read more via The Peregrine Falcon | Mendocino Brewing. Power Plus in a Bird.